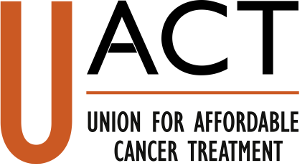 Today, Kayla Gu, MS1 at UCLA spoke to the University of California Board of Regents on behalf of Universities Allied for Essential Medicines (UAEM), Knowledge Ecology International (KEI) and the Union for Affordable Cancer Treatment (UACT). She urged UCLA to drop the patent claim in India on enzalutamide (Xtandi) that would bar affordable access to a lifesaving prostate cancer drug. Xtandi was developed here at UCLA. It was our proud example of how bench invention leads to drug creation that saves lives. Funded by the NIH, a group of talented researchers successfully synthesized a compound that’s very effective in treating metastatic prostate cancer. This compound is now sold under the name Xtandi. UCLA chose to license the patents to Medivation, a SF based biotech firm, who then collaborated with Astellas Pharmaceuticals, a Japanese drugmaker, to complete Xtandi’s clinical trials and put Xtandi for sales. Last March, UCLA sold its royalty interest- that means future profit on the patents, to Royalty Pharma for $1.14 billion. Medivation was later acquired by Pfizer. (Read even more about this acquisition.) So now Pfizer, Astellas and Royalty Pharma are the three companies who profit from Xtandi. And how was the profit? The profit was good. Xtandi costs $129,000 per year. The average treatment period is 8 months. So that is $296 /d. It is a lot cheaper in countries where their medical system is able to negotiate better prices ($ 39,000 in Japan & Sweden, $ 30,000 in Canada). But it is still very expensive relative to their income level. In India it costs about $180 a day, when its average patients make only $4/d. Is such a price necessary to recuperate the cost of developing this drug? Well, Prostate cancer is the second most common cancer among men worldwide. Xtandi’s net sales in its first year was around $2.2 billion, it’s sales in 2022 is projected to be $4.71 billion, ranking top ten in all drug sales. Pharma still holds Xtandi’s patent in the US, but not in India. India rejected its patent application in 2016 on the grounds of “obviousness and lack of patentable invention”. India’s Supreme Court eventually upheld its decision to reject its patent, on similar ground as Xtandi. It’s not hard to fathom why India has a high bar for a drug to be qualified as patentable. India has the world’s biggest generics industry. It also has growing demands for medicine but very limited consuming power. So its rejection of Xtandi’s patent could allow other generic drug competitors to bring the cost down. In a way, it aligns well with UCLA’s public benefit mission where it is stated in UCLA’s licensing guideline that it pledges to pursue patents only in those developed countries which can afford it and to not seek patent protection in developing countries. Yet contrary to its own guideline, UCLA challenged the patent decision in the Delhi High Court in this patent lawsuit case. More than 50 health watchers all have urged UCLA to drop the patent claim in India. Are we powerless as health advocates? No, just two years ago, students and faculty member at Hopkins were able to successfully pressure the university to enter its groundbreaking Tuberculosis drugs into Medicine Patent Pool to ensure the drugs are accessible to the most the vulnerable population instead of giving exclusive licensing rights to the industry. So perhaps the fate of Xtandi is in our hands, we can still raise more awareness, we can raise our dissent in the board of regents meeting this March at UCLA, we can actively participate in University’s patent decision and become a close supervisor to ensure that our universities act in accordance to its public interest mission.